New approaches to democracy where Evoke fellows have played either a lead or supporting role. This page includes research projects and initiatives aimed at implementing new decision-making approaches. This paper focuses on a key dimension related to Community Amenity Contributions (CACs); although they are derived from value created within a neighbourhood or community, there is a disconnect from that value generated, the benefits that a community will receive, and how that is decided. 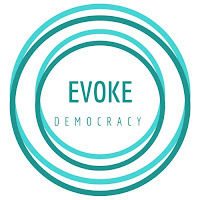 Evoke BC believes that a more participatory budgeting process, as a form of participatory democracy, is vital towards making a more equitable democracy, and could be applied in the case of CACs. Findings and recommendations from a Governance forum held on May 4th, 2018. Our Place is a place-based collective impact collaboration of residents, community-based organizations, and service providers anchored through the Ray-Cam Community Association. Principles and strategies of this approach include people-centred, participatory service delivery that engages the community, and builds the capacity within communities to collectively identify, analyze, and implement community programs and services.